Cloud computing technology isn’t new but its expansion into different work environments and increased use from individual and personal users has been exponential of late. 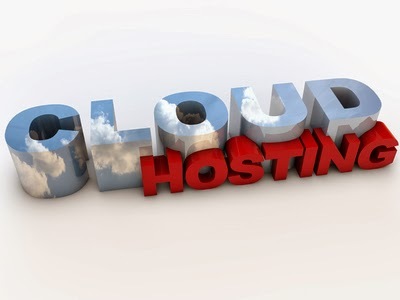 This can be seen particularly in cloud hosting. The benefits for small to medium size enterprises are plentiful, chiefly in the area of reducing costs. With a new year ahead and countless new technologies afoot, it may be time for your business to get onboard with cloud computing technologies before you’re left too far behind. By moving your data to the cloud, you are cutting back greatly on hard drive space. When businesses started moving files from paper to electronic records, it was a big revolution for companies that allowed them to manage data more efficiently. Now that we deal with more data than ever before, cloud computing is creating another important revolution for businesses. The cloud also provides users with an easily accessible back-up of all files that ensure the safety of information, which is particularly important if a crash happens and data is lost. Where once upon a time, companies would usually have physical server that required costly upkeep and updating, a cloud server cuts out a lot of the hassle on the customers’ end where they just need a network connection to run the server. Meanwhile the updating and maintenance is handled by the cloud hosting provider. You’re already starting to see that more companies are getting in on the cloud with several cloud storage and hosting providers noting a rise in their customer base and the options they purchase. Plenty of companies are au fait with the concepts of the cloud already, having used big name players like Dropbox and Google Drive for storing and sending files. These services have allowed medium businesses can drive down costs in file storage and especially save time on collaborative projects where large and numerous files are moved among different members of staff. Savvis offer focused cloud hosting solutions for businesses of different sizes, particularly in their Symphony range, which allows enterprises to continue work on their business while the cloud takes care of your IT concerns safely and securely. If you compared cloud services today to that of five years ago, the difference is staggering. Companies have been forced to invest in more robust security measures and slicker interfaces for increased usability and despite some of the bigger names’ lead in the race, expect more viable cloud competition to emerge in the future, which will mean even more diverse hosting options for the consumer. One of the central ideas of the cloud is the ability to access your site’s data from different locations and now that we live in the mobile age, the cloud has become even more vital. For example, cloud and CRM giant Salesforce.com acquired mobile cloud startup Mobile Metrics a few years ago to address the growing need for mobile-enabled cloud services. New technologies for companies, big and small, are popping up every day with some succeeding and some flopping but cloud computing has tested the waters for a number of years now and is here to stay and the future is built around mobile solutions and on-the-go work environments. As a result, embracing the cloud and molding it for your business’ needs is vital and 2014 is the year to catch up before things get too far ahead as by the end of this year, expect to see the cloud become a mainstay for virtually any business.